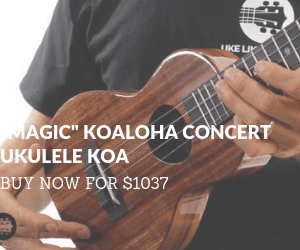 Are you a beginning ukulele player looking for easy songs to play? These 35 songs work well on ukulele and contain chords suitable for those at the beginner level. 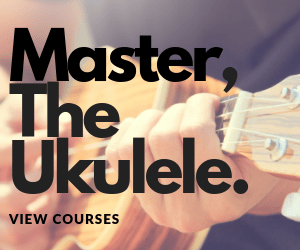 You really could choose any chord as your first ukulele chord, and learn them in any order, but many beginning ukulele players start with 1- and 2-finger chords, and with songs that contain just a few chords total, before moving on to more fingers and more chords. It’s very common for a ukulele player to start out by learning the 1-finger shapes of C, C7, Am, and A7 chords. These are frequently followed by F and/or A chords (2 fingers). G and G7 chords are 3-finger chords considered crucial by most players, as is the D chord. Em is another one I encourage you to learn early on. Eventually you’ll want to add D7 and E7, D7, B-family chords, and the much-maligned (but so worth learning!) E chord. Choose a song on this list you know the sound of already. Most of us feel more motivated to practice songs we know, love, and want to play. If you don’t know any here, listen to a few and pick one you’d like to learn. You never know what will inspire you to spend another 15 minutes “at play” (pun intended)! This song can be played in its entirety with just one 1-finger chord, but you may need to sing along. Here, the chord changes come slowly, giving you time to set up for each one. The player in the video is playing a more complicated version in the same key, and you can strum along. Especially fun in a group, this song is perfect for beginners just getting comfortable with changing chords. G is often one of the first 3-finger chords beginning players tackle, and it’s a versatile one. Playing this song in this key allows you to practice the D chord, which can be tricky until you’ve got it down. Don’t try to play along with this video until you learn F and Eb; she’s playing in a different key. Em is not the hardest chord, but switching to and from Em takes practice. B7 can be played with the same shape, so you can move just one shape around. *Skip the intro for a 2-chord version. In the video, G and C7 are also played at times, but in the same key, so you can play along. If you know the vocal part to a song well, it’s even easier to strum while singing, something that can be tough for new players. So if you can belt this one out acapella, try it on ukulele! Am and C chords become second nature quickly, and G will become easier the more you play it. A classic folk song, many people know this one well enough to sing along. The F chord is not difficult to form, but switching to and from it may take some practice, like any chord change. “Johnny B. Goode,” by Chuck Berry (1958). A lot of songs can be played using these three chords because they make a popular pattern (I-IV-V). Don’t worry if that bit of music theory doesn’t make sense to you just yet — just know you’ll see or hear it again and again! This song is loved by many. If you know it, it’s a great choice. Simple to pick up, this song repeats itself, allowing players to really get comfortable with the lyrics and chord changes. If you have a banjolele, it will sound great on that, too, and work with picking or strumming! 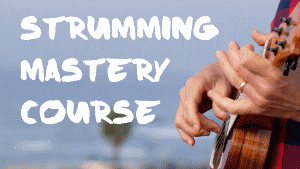 This is a fun jam using chords that are quickly learned by most beginning players. Try it in a group! Play G7 instead of G, if you like. There are no rules in ukulele. Here, you’ll have a bit of time between chords, but pay attention to the rhythm because one change happens faster than the others. Become familiar with the song before playing it. A good foundation song, once you are comfortable with the chord changes you can play around with the strumming and singing. There’s a lot of room for personal interpretation. 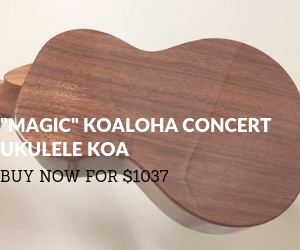 One could argue that every ukulele player should give Hawaiian music a try. This would be a more modern choice than some, but it’s a great tune and not too difficult. D chords can be daunting to some beginners. Experiment with playing it with one, two, or three fingers. Often played in gospel and bluegrass bands, this is a classic and beautiful choice for beginners who’ve gotten comfortable with G and are working on the D chord — or vice versa. So many Beatles songs work beautifully on ukulele, and “Love Me Do” is especially well-suited to beginning players. This song has an unique and fun rhythm for chord changes. Watch out for those lyrics — they’re a mouthful! This one is fun to play loud! Again, if you’re finding it difficult to play and sing at the same time, practice those two elements separately — until they’re smooth on their own — before putting them together. This reggae classic is great for beginners in several keys. The video gives you more options. If the 1980s are your era, you might recognize this hit. The chords are basic and there’s a lot of repetition in the song. 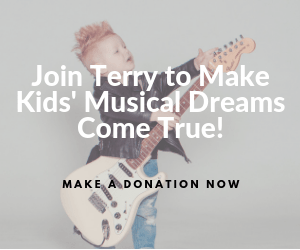 Written by a young woman who rose to fame playing her ukulele and singing original songs on “America’s Got Talent,” this one may just inspire you (or your favorite pre-teen) to write something of your own! Great songs can be written with just a handful of beginner-accessible chords, as you might have noticed by now. 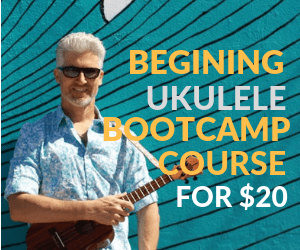 A very popular choice for beginning ukulele players, the four chords in this song are some of the most commonly seen on this list. Fun to sing (if you’re into that) and not too hard to play, this nineties number sounds awesome on ukulele. 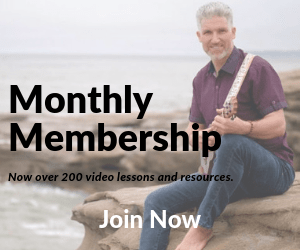 When you’ve moved past beginner, you may also want to play around with simple picking patterns, but it can certainly be strummed if that’s more your comfort zone. A recent hit with children and grownups alike, this uses the same B7 shape as “Istanbul” (See #6). Most of the song is just four chords, and the pattern repeats again and again. This song is mostly C and F chords. Don’t get thrown off by the Em, which takes some practice. It’s a chord you’re going to want to have in your toolbox. Bright and breezy, here’s another song sounds sweet on ukulele. Keep practicing that Em! Like Hank Williams and The Beatles, Johnny Cash numbers sound great on uke. This one includes two versatile 7-chords. The video shows an even easier version. It takes just five chords to get your “Roar” on! 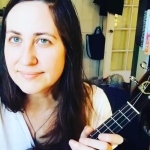 Jenny is an NYC-based ukulele enthusiast and teacher with a background in performance. 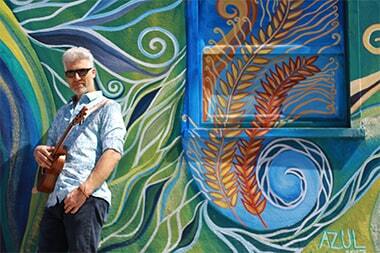 As a co-founder of the NYC Uke Squad, she leads regular jams around the city.